“When Jesus heard this, he said to him, ‘You still lack one thing. Sell everything you have and give to the poor, and you will have treasure in heaven. 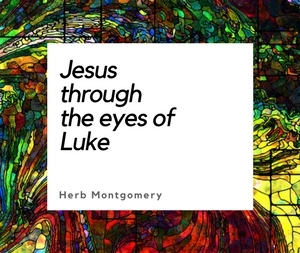 Then come, follow me.’” Luke 18:22Throughout Jesus’ ministry, contrary to modern Christianity, we do not find Jesus endeavoring to motivate those around Him to do something so that they can go to heaven when they die. Rather, over and over, Jesus calls those around Him to embrace a way of life in this age, that they may be in harmony with the way life is lived in the age to come. I’ll give you a moment to recover from that last sentence. I do not mean those words in any “meritorious” sense at all. I’m NOT saying that how we live in this life “merits” a “right” to the age to come. However, Jesus was quite clear (see the parable of the rich man and Lazarus) that the philosophies we embrace and choose to live by in this life dramatically determine whether the age that is to come is the paradise He intended for us to experience, or whether it is a place of torment and torture instead. No, I’m not teaching eternal torment either. Let me explain. What I want you to notice about this description is the multi-ethnicity of the age to come. The age to come is an extraordinarily complex, interconnected, and diverse reality in which individual identities are not lost or repressed, but are embraced and celebrated—an age that is an expansive unity that goes beyond, and yet fully embraces, staggering levels of diversity. Now, stop for a moment and consider this: I grew up in the South, where racism, much to my concern, is still rife. For the sake of making the point painfully clear, bear with me here open-mindedly. What would be the experience of a racist in the age to come? How would a Klan member feel sitting next to one of my best African American friends? The age to come for a racist is not going to feel like a gift at all, but rather, like torture. (Maybe this was the point of Jesus’ parable of the rich man and Lazarus—not that when you die, you go to a place of eternal torment [a teaching that I personally abhor], but rather that the philosophy of life we embrace in this age determines whether our EXPERIENCE in the age to come is one of paradise or torment, heaven or hell.) This is the point I believe Jesus was making for the rich young ruler as well. The age to come will be one of radical self-sacrificial, other-centered love. It will be an age of extravagance, loving to give, not to get. Every other person will be considered of greater importance than oneself (according to Paul). I want to be clear. The philosophies we subscribe to in this life do not merit or disqualify us for the age to come. God loves all, Jesus came to save all, and all are given a resurrection. But not everyone feels that what they are being resurrected to is paradise. Some feel as if “heaven” is, for them, really hell. The philosophies of life we choose to live by in this age determine whether the age to come is a place in which we find joy and happiness or torment and torture. The spirit of unselfish love that reigns there—every heart responding to the central Divine heart of Infinite Love—will touch no answering chord in the hearts of some. Their thoughts, their interests, their motives, will be alien to that age. They will be a discordant note in the melody of the age to come. The age to come will be to them a place of torture; and at the center of it all, they would long to be hidden from Him who is its light, the Other-centered Center of that age’s joy. It is no arbitrary decree on the part of God that excludes them from the age to come; they are shut out by their own unfitness for and dissonance with the other-centeredness of the age to come. The other-centered love of God would be to them a consuming fire (see Song of Solomon 8). They would welcome destruction, that they might be hidden from the “face” of Him who died to redeem them (see Revelation 6). How, then, do we ensure that the gift we have been given by the extravagant love of God through the medium of the cross of Calvary is to us the gift of heaven rather than the gift of hell? I thank God that His other-centered love for me is powerful enough to awaken that same love in me—that faith in His love for me actually has a transforming power itself to restore me into the same image of that love once again. I am HIS workmanship. I am HIS creation. And as long as I believe in His undying love for me, He, and His love for me, will finish the work He has begun in me. WHEN He puts those finishing touches on me, and HOW He does it, is up to Him. My only concern is to BELIEVE in His love, and submit to (rather than resist) the work that His love for me is doing in my heart toward others. I’m quite sure that this week’s message will produce many questions. Many have abused some of the things I’ve shared. Balance is much needed. My prayer is that we will ultimately see that if any are lost, it will not be some arbitrary decision made by God based on a life that, quite honestly, none of us ever chose to born into in the first place. If the racist is not there, if the abusers of women and children are not there, if those who take advantage of the poor are not there, if those who cherish power “over” rather than power “under” are not there, it will not be God’s decision, but theirs. Keep building the Kingdom of His other-centered love until this age becomes the next.